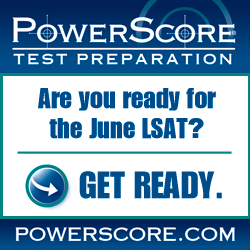 The February 2013 LSAT was given this past Saturday for most test takers. I say most because a large number of students in the Northeast US and Canada were snowed out by Nemo (if you missed the test, LSAC will re-schedule your LSAT for one of the next few weekends, but you won’t take the LSAT that was given today). So, all that aside, how was this past Saturday’s LSAT? In a word: good. From all reports, students felt the Logic Games was a relatively easy section, with some students going so far as to call it “cake.” At the very least, nothing in the section appeared to be too challenging, although there’s always the odd question or two. Over in Reading Comprehension, reviews were mixed on the Jazz/Bebop passage, but almost everyone felt that the Science passage at the end of the section was tough. Logical Reasoning is always the most difficult section to assess, but a number of test takers felt that a higher-than-average number of hard questions appeared early in one of the sections. Overall, the feeling was that this was a fair test and not too difficult, but that due to the low overall difficulty the scale would probably be tight. The regrettable truth is that because the February exam is non-disclosed, we won’t be able get a look at this exam any time soon (maybe for years, as I detailed last week). So, since there’s nothing to be done about that, keep your fingers crossed, and check that inbox a few days before the scheduled score release date to see your final results. If you can, try to enjoy the waiting!